We offer professional complete oil processing machinery for the oil mill production line, we can also offer the customers turn-key projects design, manufacture, install and commissioning services. Edible oils are recovered by grinding, cooking, expelling and pressing, or by solvent extraction of the raw materials. 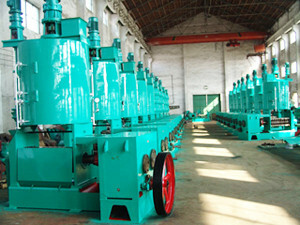 Complete oil mill production line is composed of cleaner/destoner,ironremover,crushing machine,softening kettle,flaking machine, cooker, oil press machine and oil refinery equipmentet, so that the quality of oil and cake can be improved. 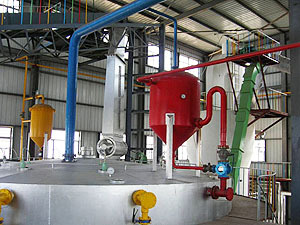 The oil expeller or pre-press expeller can be selected to improve oil yield and reduce loss,and applicable for pressing rapeseed,cottonseed kernel,sunflower seed, peanut kernel,soybean,rice bran,sesame,tea seed and coconut etc,The complete equipment designed with compact and reasonable structure as well as of high automation degree,can meet various technological requirements. 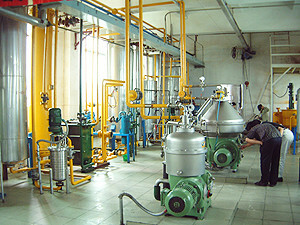 The small complete oil mill production line is easier to operate, easier to install and commission. 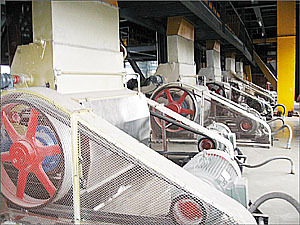 A low initial investment, higher output and lower labor requirements due to semi-continuous functionality—which also improves worker safety—are all advantages of KMEC’s machinery. 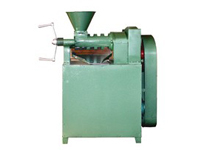 The small complete oil mill production line can process many varieties of oil seeds, such as peanut kernels, rapeseed, cotton seeds, sunflower seeds, corn seeds, palm kernels, and sesame. 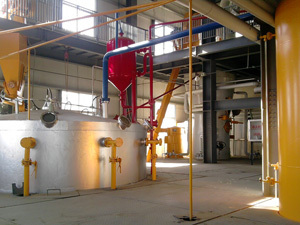 Contact us today to get further information about oil mill production line. We are always ready to serve you!